3M SECUREFIT EYEWEAR GRAY ANTI FOG - SF402AF is rated 3.3 out of 5 by 3. 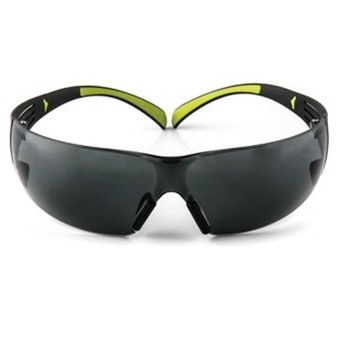 Rated 3 out of 5 by kc gan from light and comfortable but flimsy The safety glasses fit well and are comfortable. Though with 2 weeks of constant use I have lost one of the nose pads. The overall build is rather flimsy. I would not purchase again if broken/lost. 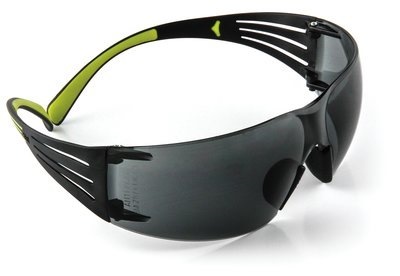 Rated 3 out of 5 by Davidkohcg from Very comfortable The safety glasses are comfortable & easy fit. 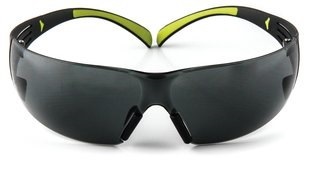 Compare to my existing safety glasses,this glasses are lighter, thinner & morel clearer. The physical don't look durable & not sure how long it can last. Rated 4 out of 5 by M1234 from Great value Looks cool and very functional as well. Design of frame makes fitting for all face sizes very comfortable.